I actually saw this yesterday, but it's the first daffodil I've seen this year. 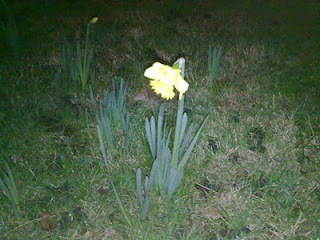 It's very early for a daff! I was out today; a nine mile circuit with hills and mud, and I'm knackered.